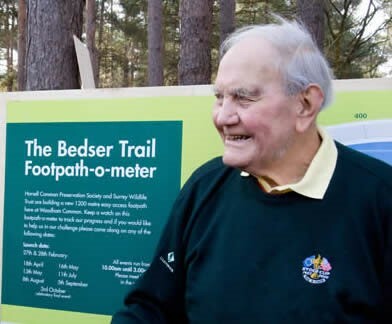 The Bedser Trail is dedicated to the memory of Sir Alec Bedser CBE and his brother Eric Bedser, Woking’s legendary cricketing heroes. 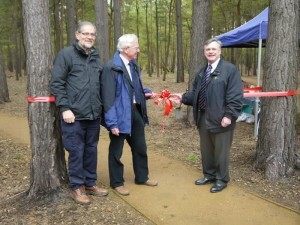 The path, accessed from the car park on Monument Road, took three years to construct and was officially opened by Ken Schofield CBE in 2012. 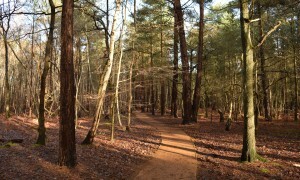 The Bedser Trail is a 1.2 km easy access circular path. 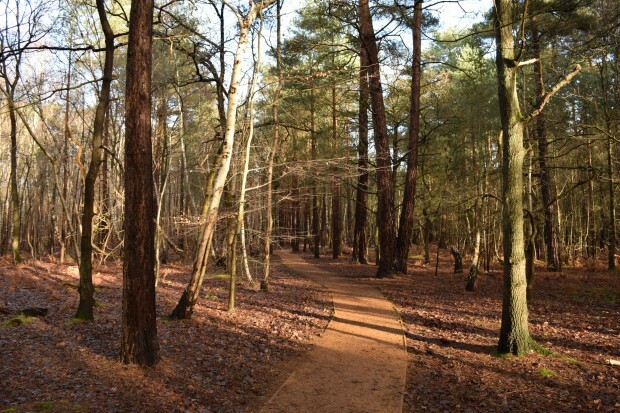 It has no steep gradients and is particularly suitable for people with mobility difficulties. 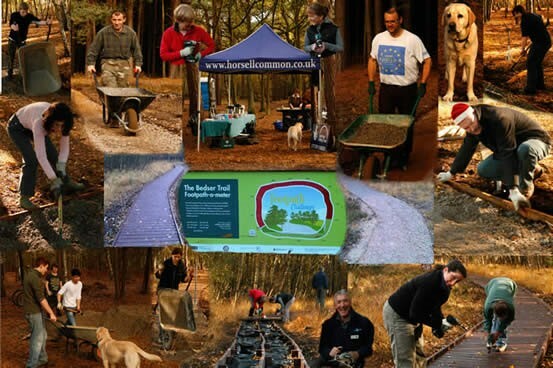 It was constructed entirely by volunteers working with the Horsell Common Preservation Society and Surrey Wildlife Trust’s Surrey Greenspace Project to create better access to our local natural environment. Eric and Sir Alec were identical twins and were often described as inseparable. They lived on the fringe of Horsell Common from the age of six months until their deaths at the age of 88 and 91 respectively. They were educated locally at Maybury Junior School and Monument Hill Central School, where they displayed exceptional talent for cricket and football. After leaving school at the age of 14, the twins became solicitors’ clerks in London, before joining the Royal Air Force in 1939. 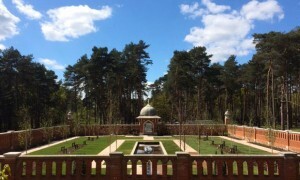 After the war, they resumed their cricketing careers at Surrey County Cricket Club, establishing themselves as accomplished bowlers. 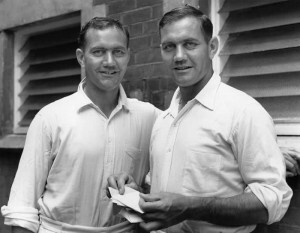 Alec soon became a key player for England, taking 11 wickets for 139 runs in his debut test match, and held a record breaking career total of 236 wickets in 51 matches; a record that stood for over ten years. He was knighted for his services to cricket in 1996. Alec and Eric were staunch supporters of the Horsell Common Preservation Society and this path is dedicated to their memory. The Bedser Trail was officially opened on the 5th May 2012 by Ken Schofield CBE.